Knock Out Review | Buy or a Scam? Page updated Mar 13, 2019. Knock Out is a fat burning diet supplement for men and women, made by Nutra4health. It contains ingredients such as caffeine, glucomannan, and L-Tyrosine, and claims to be a potent, natural blend that will help shed excess body fat. In this review, we investigate Knock Out in detail to see if it’s as good as it claims to be, or whether it’s a waste of money. Knock Out is a fat burning supplement that may have the advertised high impact weight loss effect due to the inclusion of caffeine, green tea, and glucomannan. This can be an effective combination for weight loss for some people, but will not be suitable if you have any health conditions relating to heart or blood pressure. At $39.95 for a 60-day supply, it is relatively inexpensive. 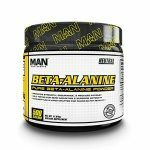 At the moment, the main stockist is Amazon, with a few third-party sellers on other supplement websites, but it does not appear on the Nutra4Health website. What Are The Side Effects Of Knock Out? There are multiple ingredients in Knock Out that can have some side effects. We have listed these under the ‘side effects’ tab below. How Much Does Knock Out Cost? Currently, Knock Out costs $39.95 for 60 capsules (a 60-day supply) from Amazon. 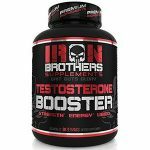 This is a relatively inexpensive fat burning supplement when you take into consideration a bottle should last the user sixty days. However, we think we know why it is cheap – it’s a proprietary blend, which is often a sign of underdosed and therefore ineffective ingredients. The company offer a money-back guarantee, but as it is sold through Amazon or other third party sellers, you are usually covered anyway. We have found a Nutra4Health website listing a few supplements, but there is no information on there and this product is not listed, which is rather suspicious. We also raised our eyebrows at one of the Amazon comments, where a key printing error was pointed out – the label had ‘product name’ instead of the actual product name on there. Surely any self-respecting and legitimate company would check this before selling their products. There are some ingredients in there that, if dosed correctly, may have some effect on weight loss. These include the various forms of caffeine and the glucomannan. However, there are also ingredients in there that have no scientific proof in working when it comes to humans – raspberry ketones being one of them. It’s also slightly worrying when a product contains multiple sources of caffeine, as this one does, without the exact quantities. More than 400mg of caffeine a day can give some quite serious side effects. 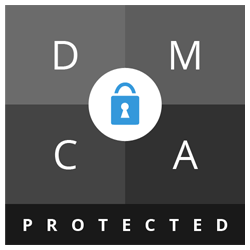 It is important for the user to know exactly how much they are consuming to keep them safe. With all of this in mind, we do not recommend Knock Out to our readers. Knock Out is a US made fat burning supplement. 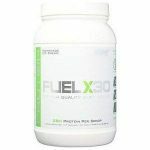 It contains three proprietary blends: energy and focus blend, thermogenesis blend and lipogenic blend. 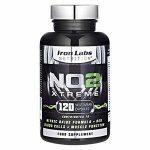 It uses a range of ingredients commonly found in these types of supplement such as raspberry ketones and glucomannan, as well as caffeine and green tea extract. Consumers are instructed to take one capsule a day. 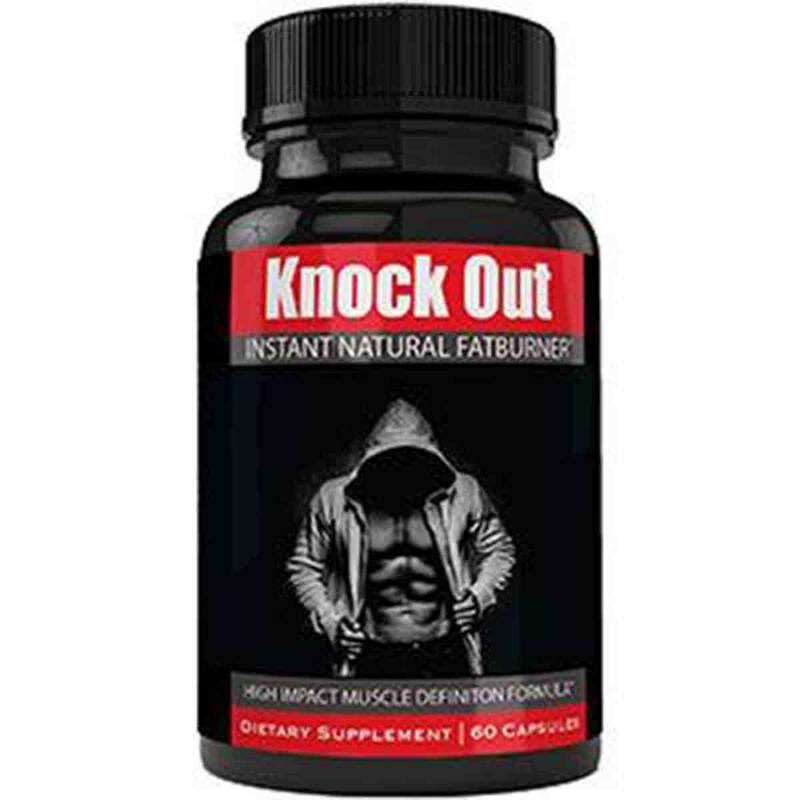 Knock Out is sold on Amazon by Nutra4Health, a small supplement manufacturer based in the USA. There is no official website and no reviews or coverage of either this product or the company, so it’s hard to get a picture of who this company are. They appear to outsource the design of their bottle labels out, with a rather large printing error on them being pointed out by a customer in the Amazon reviews. We cannot find any instructions for use, but we assume the user should be taking one capsule a day. What Does Knock Out Claim To Do? 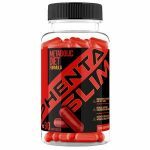 The 1-2 Combo – Our potent fat burning capsules, knocks out unwanted and stubborn fat from your body by enhancing your metabolism to break down food faster and suppressing your appetite to lessen food intake. This 1-2 Combo of green tea extract and raspberry ketones, rapidly eliminates excess fat from your body, giving you noticeable results in no time. Championship Formula – Working hard to get that lean, toned out body? Do it like the pros and achieve rock hard abs, ripped pecks and firm muscles easier with our high impact formula. It is highly trusted by Martial Artists, Boxing and Wrestling athletes since it does not lessen any muscle mass gained by working out, and it makes your body shed off weight without hunger pains or starving yourself. Have the Winning Edge – Dominate your game by boosting your energy, focus and endurance. It increases your performance on and off the training gym, to enhance your level of performance. Keeps your body stay fit and healthy by cutting down on sugar and calorie intake to beat fat caused conditions and heart problems. Given the proprietary blend in use here, we’re unable to verify if the quantity of each ingredient used is substantial enough for this to work. Caffeine and glucomannan are considered useful for weight loss. Raspberry ketones, however, have never been proven useful. Some of the other ingredients would seem to be for mood and energy boosting rather than weight loss. What Are The Ingredients of Knock Out? The manufacturer does not provide exact quantities used for each ingredient, which makes it difficult for us to estimate how effective the overall mix is. The ingredient quantities listed are correct for 1 capsule of Knock Out. Caffeine: Numerous studies have shown that caffeine boosts energy levels and alertness, as well as mildly boosting the metabolism, causing a small increase in the number of calories used by the body. Caffeine is also known to boost athletic performance. Phenylethylamine HCI: This is more commonly known as PEA and is derived from the amino acid phenylalanine. It is thought to increase alertness and aid in concentration and focus. 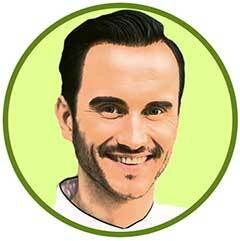 It may also enhance mood, which are may help dieters in succeeding with their weight loss attempts. Glucomannan Fursultiamine: This is a type of fibre which studies have shown can aid weight loss in various ways. It absorbs water in the stomach (as much as fifty times its weight), swells, and becomes gel-like in consistency. It suppresses the consumer’s appetite by filling the stomach and slowing down digestion, especially the emptying of the stomach, which means that it will take longer to become hungry again after eating. It also absorbs some fat and cholesterol, effectively reducing the available energy content of the meal it is taken with. In order to provide sufficient appetite suppression to aid weight loss, glucomannan needs to be taken in a dose of at least 3 grams per day, meaning that the dosage included in this product is likely to be too low to be effective. L-Tyrosine: This is an amino acid that is a building block of protein, this ingredient is found naturally in many foods including meat and dairy products. In studies, L-Tyrosine appears to effectively improve cognition and memory during stressful periods. Green Tea Extract: This is high in a type of antioxidants called catechins, as well as being a source of naturally occurring caffeine. Studies have shown that catechins increase the rate of thermogenesis in the body, whilst caffeine increases energy expenditure by boosting metabolism to a small extent for a few hours. Raspberry Ketones: This is a very popular ingredient in weight loss supplements, but, whilst there is a small amount of evidence that raspberry ketone can cause weight loss in rats, there have never been any human trials on the potential weight loss effects of raspberry ketones. Yohimbe Bark: Some studies have shown increased blood concentrations of free fatty acids in participants who use yohimbine extract, suggesting increased rates of lipolysis. However, the Natural Medicines Comprehensive Database has claimed that there is insufficient evidence to claim it helps weight loss. Kola Nut: Kola nut has been studied in relation to weight loss, but usually alongside ephedra, a substance that is now banned in the U.S due to severe side effects. As a source of caffeine, Kola Nut may boost the metabolism mildly. In animal studies, regular use of kola nut over a month resulted in a decrease in both appetite and body weight. L-Carnitine: There is evidence to suggest that supplementing with L-Carnitine can reduce body fat, although the strongest results were seen in the elderly. The ingredient also boosts energy levels and is used to treat fatigue. Does Knock Out Have Any Side Effects? Consuming large quantities of caffeine can lead to headaches, increased heart rate, increased blood pressure, heart palpitations, increased urination, dehydration, jitteriness, dizziness, and insomnia. As we don’t know how much of the caffeinated ingredients the supplement contains, this is something to be particularly cautious of. Green Tea can also cause constipation. Yohimbe can also cause a wide range of side effects, including stomach upset, excitation, tremor, sleep problems, anxiety or agitation, high blood pressure, a racing heartbeat, dizziness, drooling, sinus pain, irritability, headache, frequent urination, bloating, rash, nausea, and vomiting. L-Carnitine can cause side effects such as nausea, vomiting, stomach upset, heartburn, diarrhoea, and seizures. It can also cause the urine, breath, and sweat to have a “fishy” odour. Some users of raspberry ketone have reported feeling ‘weak’, restlessness, insomnia, chest pains, headaches, and nausea. Do not exceed the recommended dosage. Pregnant or nursing mothers, children under the age of 18, and individuals with known medical conditions should consult a physician before using this or any other dietary supplement. Keep out of the reach of children. Do not use if the safety seal is damaged or missing. Store in a cool, dry place. Do not consume with other medications that may have an effect on blood pressure. Are There Any Customer Reviews For Knock Out? Almost a third of the very few Amazon reviews are negative. One stood out immediately, flagging the company as slightly suspicious. They included a photo to back up their review. 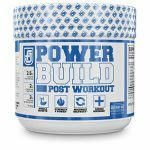 It’s an energy pill that you can feel but if you’re looking for the Instant Knockout from bodybuilding magazines and sites this isn’t it. Those are from a company called “Roar Ambition”, this company is called “Nutra4health”. A little intentionally deceptive marketing got me. On the label comes the statement “When combined with exercise and a reduced-calorie diet, PRODUCT NAME can help you reach your weight loss goals.” Kind of annoying. Does Knock Out Offer a Money-Back Guarantee? They offer a 100% satisfaction guarantee, but there is no information on how to obtain this. One of the customer reviews alludes to an issue with getting money back. Where Can I Buy Knock Out? You can purchase it from the Amazon US for $39.95. The Muscle Watchdog does not recommend Knock Out.